Home family farms Food Giveaway Harvest14 Lycopene nutritional value of canned tomatoes Tomato Wellness Food Giveaway! Guess the Pounds of Tomatoes in Our 2014 Harvest! Food Giveaway! Guess the Pounds of Tomatoes in Our 2014 Harvest! I'm doing my first give away! 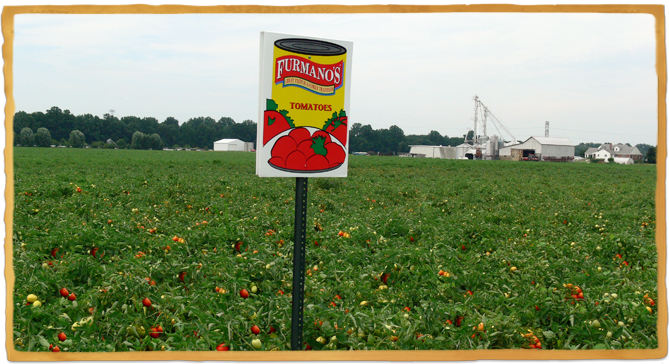 The person that guesses the number of POUNDS of tomatoes we harvest this year (or comes the closest) will win a gift pack of Furmano Foods canned tomato products! 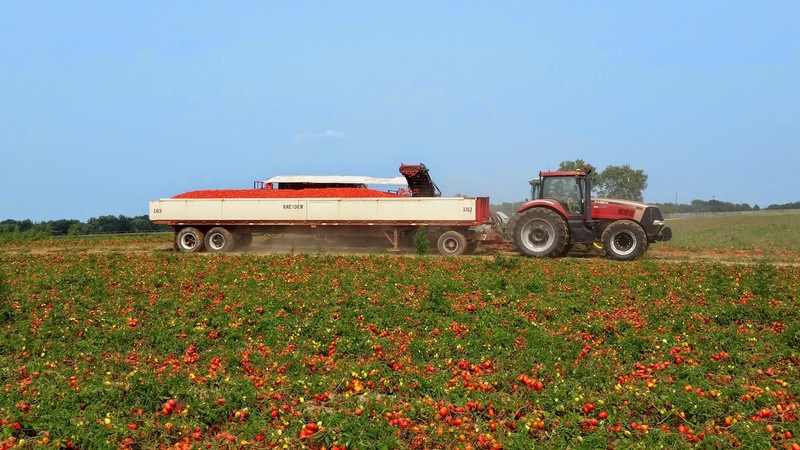 We have 150 acres of "processing" tomatoes this year. That means they are field grown Roma tomatoes that we grow for Furmano Foods in Pennsylvania. We have been growing tomatoes for Furmano for about 10 years. Its nice to grow for a company whose products are high quality, tasty, and that we enjoy eating! 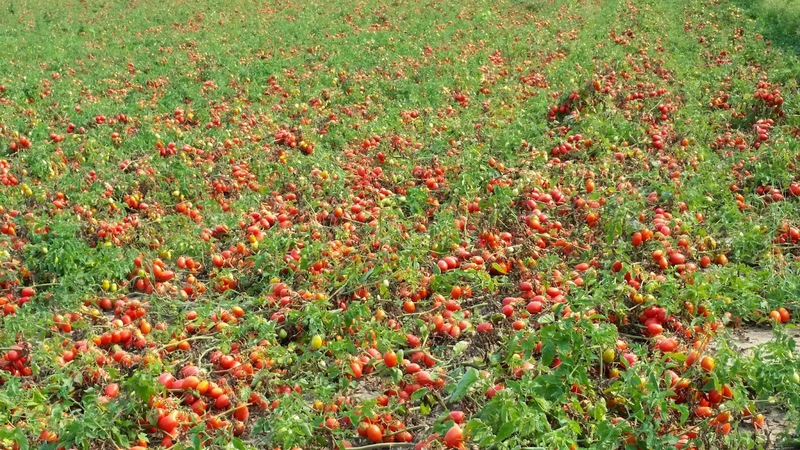 One of our 2014 tomato fields. These are cannery tomatoes that go for grocery items like diced tomatoes, stewed tomatoes, whole peeled tomatoes, crushed tomatoes, pizza sauce, spaghetti sauce, etc... Canned tomatoes are so versatile in so many recipes, I can't imagine my pantry without them! Here's what the label looks like before they head to the cannery! Tomatoes are an excellent source of lycopene and provide a good source of vitamins C & A. While they are delicious picked fresh, in season from the field, canned tomatoes are very versatile in many recipes, and are an easy, economical, and nutritious choice. They are machine harvested and loaded onto these trailers then hauled to the cannery and within 24 hours are processed into yummy tomato products! So what do you need to do to win this prize? Guess the number of pounds that we will harvest from 150 acres of tomatoes this year. I will give you ONE clue, we are expecting an "above average" crop this year. I won't answer questions like "How many tons do you typically harvest?" but feel free to do some research on that. You can see, we have filled one tractor trailer load above. There are days when we fill 20 tractor trailers. The cannery tells us how many loads they need per day based on who else in the region is also harvesting. 1. The guess must be posted here in the comments section of the blog. 2. Family & employees are excluded from the contest (sorry Mom & Ernie). 3. I will only ship to a US address. 4. If you are the winner and you are outside of the USA, I will ship it to a friend or family of your choice in the USA or will donate it on your behalf to our local food pantry. 5. Harvest usually takes about 3 weeks, depending on Mother Nature and how well the equipment runs. Sorry I can't give you an "award" date but let's say by early September I should have all the harvest data and can determine a winner around that time. I will update the timeframe on facebook and twitter so you know when we are approaching the end of harvest. 6. I will close the comment section when the last tractor trailer load of tomatoes leaves the farm. No entries will be accepted after than. Now... Post your guess in the comments section here on the blog! The person closest to the number of pounds that we harvest wins! Happy guessing!